Here's the partially completed, and already densely packaged, AF/IF module. 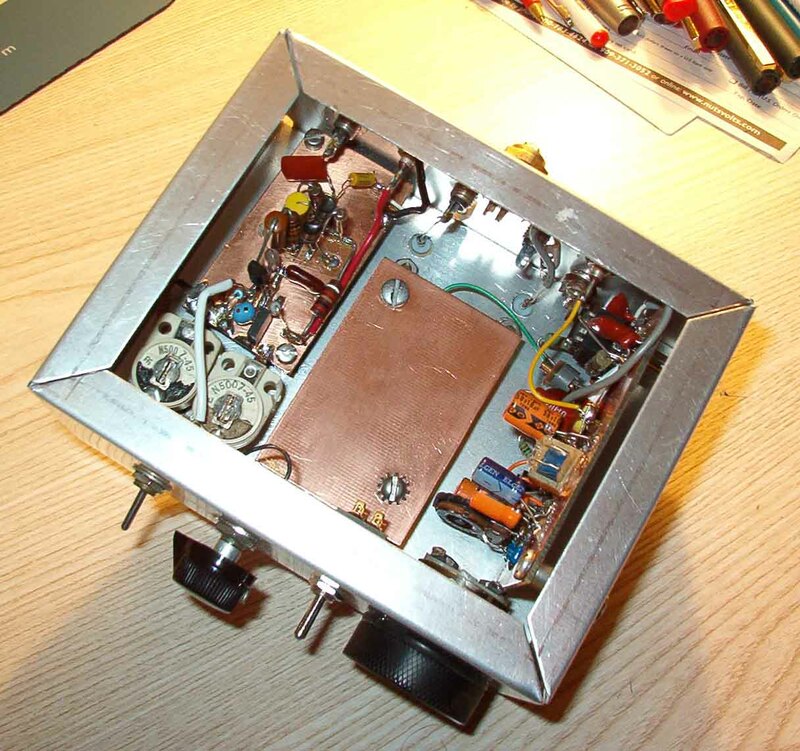 The KISS transceiver will soon be able to be used as a complete SSB/CW receiver during construction and integration of the transmitter stages. 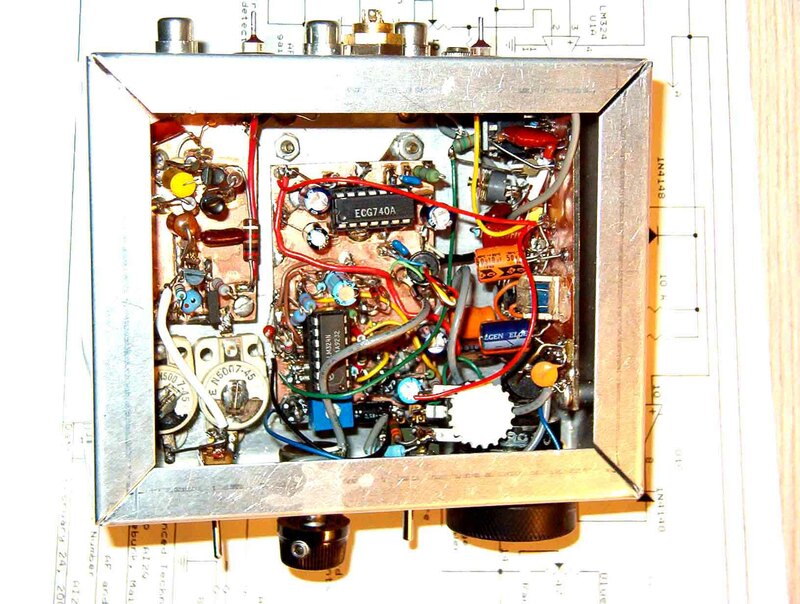 The transmitter blocks will be contained in additional modules using the identical Bud chasses. Here's the completed AF/IF module. The assembly and/or dis-assembly of this module, for adjustment or troubleshooting, demands that the AGC/AF board (center) be removed first. That gives access to the side-mounted IF/product-detector board (right), the BFO/buffer board (left), the crystal filter terminals (rear, top), and the front-panel components. Removal and reinstallation of the boards is a relatively easy process. Each board is held onto the aluminum chassis by machine screws that can be loosened and tightened from the outside of the chassis. The boards are mounted on stainless steel standoff insulators. Click here to return to home page. There you'll find additional links detailing subsequent stages, tests, etc.